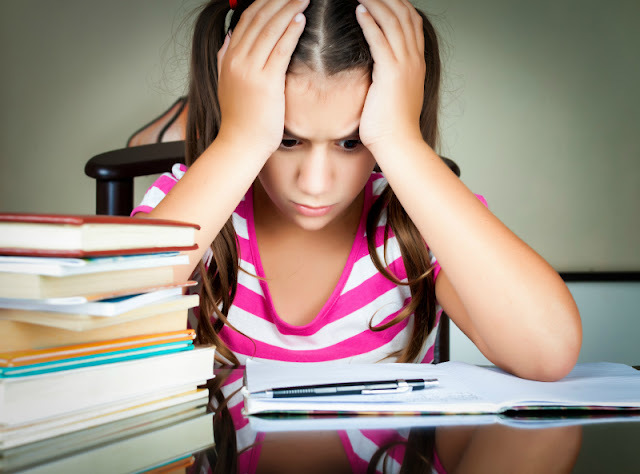 We all want to raise children who love to read, and this love starts in the house. 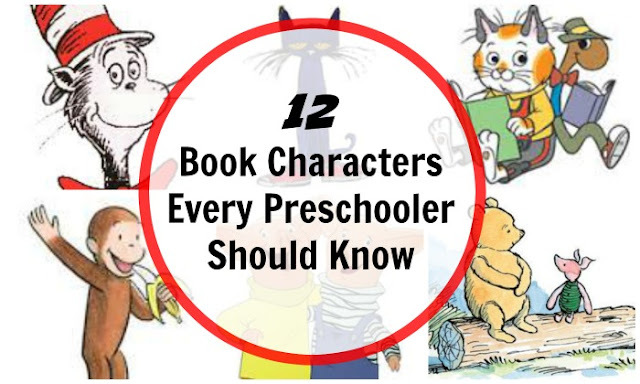 In honor of Children's Book Week, I want to share our favorite 12 book characters for preschoolers. 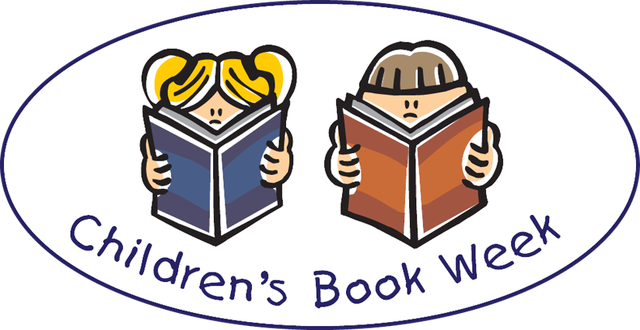 This week we celebrate Children’s Book Week and I want to share our love for characters we got to know so well during preschool years. In our house we read and reread books featuring these characters when our daughter was from 2 to 4 years old. She was an early reader, and by the end of preschool she was able to read most of the stories on her own. I intentionally chose not to include fantastic early readers, such as Elephant and Piggie in this list and pick longer and more complex stories to savor together as a family. Disclosure: I am an Amazon associate and this post contains affiliate links. For full disclosure, please click here and thank you for supporting my blog! I want to start with classics. Dr Seuss’s stories were forever popular in our house. To be fair, my daughter didn’t care for The Cat in the Hat itself, since she is not a big fan of mayhem and rule breaking. She enjoyed many entertaining and educational rhymed stories from The Cat in the Hat Learning Library and has many other favorites in our Dr Seuss collection. Another classic story made it to our list of favorites. Sadly, Don Freeman wrote only two Corduroy books, but they were both read many-many times in our house. You can consider Corduroy as the first “adventure” book that is a lot more appropriate for preschoolers than many fairy tales. It’s a warm gentle story with a beautiful happy end. Pete the Cat by James Dean was not originally on my top 12 list, but it was enthusiastically recommended by my kidlit friends when I asked a question about favorite characters for preschoolers on my Facebook page. I remember Smarty being quite enchanted by Pete’s adventures when she encountered this series in kindergarten, but I didn’t read these books with her. Back to classic stories. I think every English speaking child knows Curious George, but it’s certainly worth it not to limit yourself to a TV version or to later books. Original Curious George stories by H.A. Rey are delightful and will probably lead to some interesting discussions about strange looking telephones and other relics of the 20th century. My daughter had mixed feelings about Curious George, because he ended up in trouble a little too often for her taste. I cannot even tell you how much my daughter loved Richard Scarry books with their detailed illustrations and a simple text that, nevertheless, introduced a lot of new vocabulary words to her. Richard Scarry’s world is organized, peaceful, and purposeful – everything that Smarty was finding extremely appealing when she was a preschooler. Lowly Worm is a “disabled” character that can keep up quite well with his able-bodied friends and has extremely nice manners – someone every preschooler can learn from. I admit that I didn’t care for Clifford’s stories by Norman Bridwell quite as much as my daughter did, but I read and reread my fair share of them. I can see that a big red dog is a fascinating companion to a small girl, and he is a great character to explore the ideas of loyalty, faith, and friendship. Marc Brown is a prolific author with many books set in “Arthur universe”. We read a lot of them when Smarty was in preschool, and she enjoyed them. She was fascinated with Arthur’s younger sister D.W. who is somewhat more “free-spirited” than studious Arthur. D.W. is a lot of fun and not as often in trouble as Curious George, so she was one of Smarty’s favorite girl book characters when she was in preschool. I always thought of Berenstain Bears as a perfect series to raise proper conservative Christians, as every possible virtue is taken on in a separate book. Since we are not religious, I found the books to be too “formula-driven” for my taste, but Smarty enjoyed this peek into a life of a tightly knit family that always plays by the rules, and she could certainly place herself in many situations described in the books. Toot and Puddle created by Holly Hobbie are friends who are very different. Toot is yearning to see the world while Puddle is quite content to enjoy charms of a quiet country life. These series open up so many wonderful conversations about choices, countries that our children would love to see and adventures that they might want to undertake. We love geography and world exploration in our house, so we certainly LOVE Toot and Puddle. Here is another famous pig that should be known to preschoolers – Wilbur from Charlotte’s Web by E.B. White. This is probably the most difficult book that I chose to include in the list of favorites, since it includes themes of sacrifice and death. Some children are not mature enough to handle such topics in preschool, but Smarty was interested and enjoyed this book. Another good classical choice for preschool by the same author is Stuart Little. I wanted to include one character who lives in the ocean. My daughter enjoyed all the books from The Rainbow Fish series by Marcus Pfister. I remember my husband and I having a lively discussion on the original book, because we felt that the author took a character from total self-absorption to equally dangerous disregard for his own well-being. To Marcus Pfister’s credit, the stories took different turns in subsequent books. My favorite book with a strong message of not being afraid of unknown is Rainbow Fish Discovers the Deep Sea. I saved the best for the last. See, I didn’t meet all the other characters until I was an adult, since none of those books were translated into my native Russian when I was a child. Winnie the Pooh by A. A. Milne is the only character from this list that I met as a child, immersed myself into his adventures and quoted (in Russian, of course). I was very happy to share Winnie the Pooh and his friends with our daughter and hope that she will eventually carry on Winnie the Pooh and share him with her own children. What are your favorite characters from books written for young children? Check out my book recommendations by age with extension activities for every month of the year! I read above grade level for so long I barely remember my preschool picks, but I know that I always enjoyed Clifford when I picked him up at the pediatrician! I'm Shocked Little Critter didn't make the list! he is one of my favorites! I am shocked little critter didn't make the list! he is one of my favorites. I saw some good ones on this list!! I love Pete the cat! Oh, we adored the Richard Scarry books, too. We had some that were printed in the UK - the wording was different and it was fun to note at an early age, for my daughter. Great list. Thanks for the giveaway. We'll share! Berenstain Bears were favs with my kiddos, as well as Rainbow Fish. I've read most of these title dozens--if not hundreds of times! Hmm, I wouldn't have put Wilbur/Charlotte's Web on a preschool list. I'd have to include the Kevin Henkes mice on my list! I don't know I'd have put Charlotte's Web on preschool, but that's the beauty of parenting we can all pick when our kids read books. I'd add in either the Mouse from Give a Mouse a Cookie books OR Little Critter, my kids loved Little Critter books as little kids. They never seemed to get into Richard Scarry books. Up until recently I'd not particularly thought of Berenstein Bears as particularly Christian, but one of their publisher's is a Christian publisher, so many of their more recent books have been very overtly Christian. I've always thought of them as formulaic books to teach some kind of lesson, I know I used them when I was teaching for a couple of different lessons: nutrition, fire safety (I think, can't remember for sure, I know there was something with safety), and a couple of others. Oh I had a big Richard Scary book as a kid and LOVED it! Thanks for sharing so many classics for children to discover with their parents. Franklin is a series that we loved over the years too. Our favorite character is Uncle Wiggly. My preschoolers can't get enough of his adventures! We love the Hungry Caterpillar, Thomas the Tank Engine, Winnie the Pooh, and Green Eggs and Ham! There are actually a few on your list I'm not familiar with, so we'll have to check them out. Thanks for the giveaway! I like the Cat in the Hat and the Sneetches from Dr. Seuss books. Berenstein Bears because they always give a great lesson. The kids enjoying reading them. My favorite character was Ralph, from the Mouse and the Motorcycle. I loved that book! My son loves Clifford and Curious George! He has also recently become a fan of the pigeon from Mo Willems' series. And I agree that the original Curious George is so different, really interesting to read! I like Manny the Moose, that was such a fun awesome book to read as a kid. I loved it! Great choices! My kids all love Biscuit from the early readers - but Pete the Cat is another favorite. I loved the Boxcar Children series! I loved Curious George, POOH!, and anything by Dr. Seuss. I loved Harold and the Purple Crayon too. I love Clifford, Corduroy, and Pooh, but also remember reading Little Critter and every Bill Peet book I could find (Droofus was my favourite). I love the Duck and Goose books that are out now, too! My favorites are the Dr Seuse characters. My kids love CLifford the big read dog. My children love George from the Curious George books. However, my oldest son's school had a book for the school to read together and they fell in love with Wilbur and Charlotte from Charlotte's Web. I like Wilbur and Curious George. My children always loved Clifford, Athur, and Bearenstein Bears. My kids loved Dr. Seuss & goodnight moon. I always loved Curious george. Something about a mischievous monkey! I always loved Peter Rabbit and Charlotte and Wilbur form Charlotte's Web. Thank you for sharing at Sharing Saturday!! We enjoyed a lot of Dr. Seuss books and also Disney fairy tales. Thanks! I like the pigeon books by Mo Willems and Pete the Cat. These are great titles for kids! We love Arthur, the cat in the hat and Clifford! My favorite characters were the Bearenstein Bears and The Little Critters books. I've always loved the corduroy bear series! He was so cute. I think the velveteen rabbit was a good children's book when I was growing up. I also like the books where the point of the story is teaching the young characters the 'story of life' if that makes any sense. The Cat in the Hat has to be my favorite, with the Lorax a very close second. Berenstein Bears They teach good lessons! My favorite character from books written for young children is Winnie The Pooh! I so enjoy reading those books over the years to my son. Thank-you for a great giveaway! Clifford is one of my favorite characters and Winnie the Pooh too. 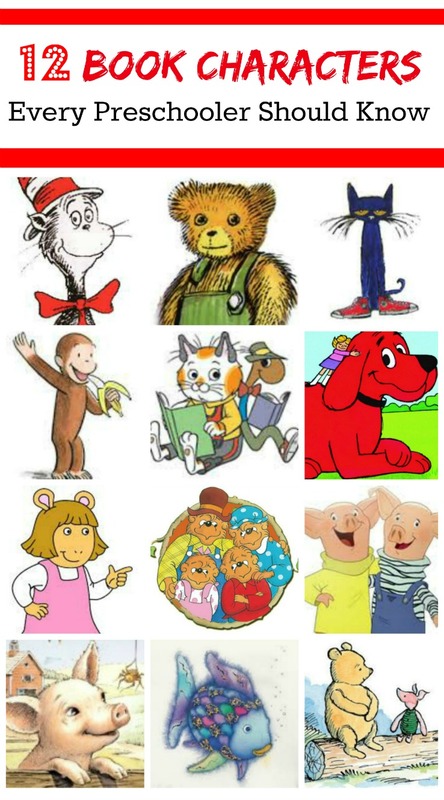 Dr. Suess are my personal favorites but I love Charlotte's Web too and have all of the Berenstein Bears books !! I have always loved Dr. Suess!!!! Max from Where the Wild Things Are and Wilbur from Charlotte's Web are my favorites.